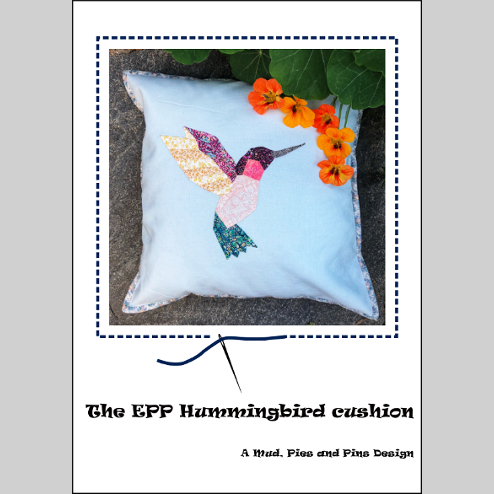 This cushion has a zippered back, bound edges and features an English Paper Pieced (EPP) hummingbird appliquéd on a plaing cloth background. The cover is sized to fit a 20" cushion filler. The EPP hummingbird pattern has been designed to work best with lightweight fabrics such as Liberty Tana Lawn, other lawn fabrics and batiks. Quilting weight cottons would also be suitable. Patterns are included for both left and right facing hummingbirds.